Though we are having sunny spells, chilly and windy evenings still seem to be getting in the way of spring season. At ours, both my OH and I are obsessed with hot soups and one-pot stews and casseroles. A hearty soup can be just the thing for a cold chilly evening and works as a complete meal that can be rustled up in no time. Most of February, I was fighting off a terrible viral and bacterial flu and cold bug which just didn’t seem to go away. Naturally, I tried all sorts of home remedies and made lots of different varieties of soups. Around this time OXO sent me a fabulous goody bag with some OXO stock pots, a good quality stainless steel Ladle with a strudy handle, a Mackie’s Soup Mug – handy for eating soup in and looks very cheerful too, a Sistema Microwaveable Travel Mug – handy for carrying soup for a working lunch and an OXO Cookbook for recipe inspiratin to make some delicious meals at home. And now, I would like to share the joy with all of you with an opportunity to win this generous goody bag from OXO. To win this giveaway from OXO all you need to do is answer a simple question and follow some easy-peasy instructions. 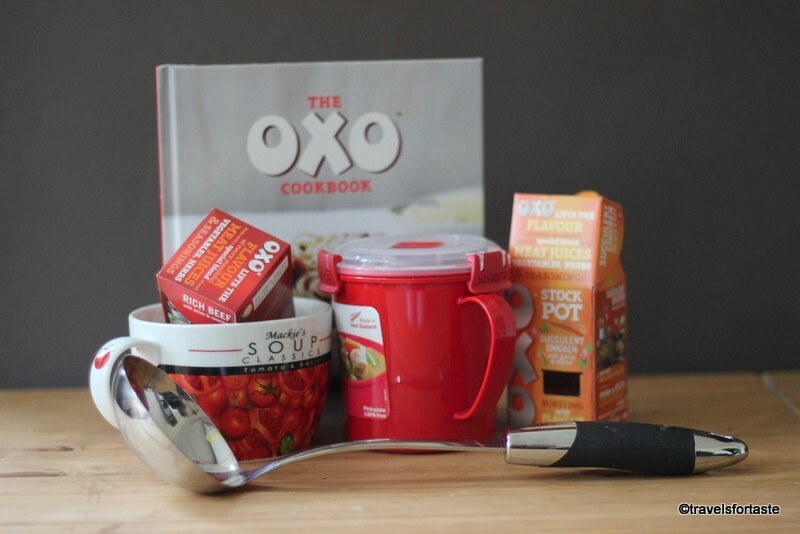 One lucky winner gets this lovely bundle of goodies worth £50 : OXO Cookbook and a selection of OXO stock pot x5, 1x odour & stain resistant Ladle, 1x Mackie’s Soup Mug and 1x Sistema Microwaveable Travel Mug. CONGRATULATIONS to Laura Z Banks! Deadline for entering this contest is 1st June’ 2016 midnight GMT. Increase your chances of winning by visiting daily and tweeting out the pre-recorded tweet, provided they have done all other steps the first time when they enter. The giveaway prize is as mentioned in the post – OXO Cookbook and a selection of OXO stock pots x5, 1x odour & stain resistant Ladle, 1x Mackie’s Soup Mug and 1x Sistema Microwaveable Travel Mug. Neither OXO, nor I am liable for any damage of giveaway prize and / or contents in transit. The prize is as stated: it is non- transferable and no cash alternatives is available. The winner will be notified on 4th June’ 2016 on Twitter by me and here on my blog post. I shall tag the winner on Twitter via their twitter id. If you are declared as the winner you agree to allow me and OXO to contact you via email id and share your details with OXO who will arrange for the goody bag to be sent out to you, to have your name announced here on my blog post and on Twitter. If the winner fails to respond by 8th June’ 2016 then another winner will be chosen at Random. *With thanks to OXO for arranging these fabulous gifts and sending me a similar set to sample and for review . No monetary compensation was offered for a positive review. As always all opinions expressed here are entirely my own. Please note photograph is post is only representative and actual OXO products and other goodies sent may differ. I want to win this set of goodies from OXO because their products are quality and help me out in the kitchen! I want to win this set of goodies from OXO because I eat a lot of soup and they would be really useful. The stock potd would make my meals so much tastier & I really want that travel mug! Wonderful prize love to win to use at home and away . I want to win this set of goodies from OXO because they sound awesome! I love oxo products they are such good quality! I want to win this set of goodies from OXO because I love soup and OXO so perfect for me! I want to win this set of goodies from OXO because I love soup and I use OXO in most of my dinners that I make. Oxo cubes are so versatile and csn be used for so much. They are known for too quality products and I love soup. Oxo products have been a staple in the kitchen cupboard for generations of my family and I’d like to do more with them and try out the various recipes in the cookbook. 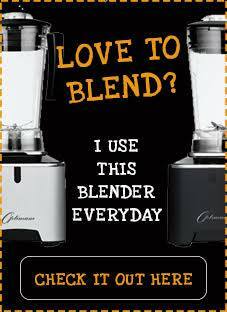 Oxo products are great quality, and i love making homemade soups. Because I bought a Sistema Microwaveable mug last winter for work. However, they are obviously great products, as before I could even use it, my brother borrowed it and never returned it to me. So I’d like one for myself. I love soup and would love to create my own recipes. I want to win this set of goodies from OXO because they are a very well known and loved brand in my house, absolutely love soup too. I love making home made soup and this would allow me to have my own home made soup on the move! I am a soup fiend! I want to win this set of goodies from OXO because it’s still chilly enough in the evenings and a cup of soup can really warm you up as well as make a great meal. I need some new utensils for the kitchen to get me cooking again. OXO accessories seem really useful and great quality, and i do love my soup. 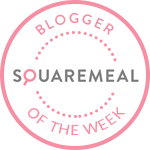 because OXO make such a great base for soups and that is something I make every week, summer and winter! I want to win this set of goodies from OXO because you know you can trust Oxo for good quality – and my daughter melted our last ladle! I use OXO as part of my healthy eating regime, I have lost 5 stone and counting. I need a new container to take soup to work and OXO accessories are funvtional and stylish. I use OXO as part of my healthy eating regime, I have lost 5 stone and counting. I need a new container to take soup to work and OXO accessories are functional and stylish. Because I love soup and always on the lookout for new ideas. I want to win this set of goodies from OXO because I love making soup, it is an excellent way of sneaking lots of vegetables into my daughters! I want to win this set of goodies from OXO because I absolutely love soup and making it. This would be fab and love OXO products such good quality! It can only improve my cooking skills – which if you ask my wife – is a GOOD THING! I’d love to win because I’m making loads of soups now that I’m doing Slimming World! I love soup but haven’t made any in ages! This would change that! I love cooking and I love their stockpots – they’re really tasty and so easy to use! My soup always tastes bland no matter what I do to it so hopefully this would help! I want to win this set of goodies from OXO because I love making soup and want to add these bits to my oxo collection! I would make healthy meal that I could take to work and have anywhere. I’d love to win so that I can make healthy and delicious lunches for all the family and kickstart a healthier 2016! I could have a lovely healthy home made soup for lunch instead of convenience food. I want to win this set of goodies from OXO because I love that cute tomato soup mug. I am trying to eat healthier and making soup to bring to work every day for my lunch and winning this set will make it so much easier to do this. Because they make great products. … I love making and eating home-made soup. I want to win this set of goodies from OXO because I want to try making homemade soup. The types of soup you can make are endless so it is always good to have new things to experiment with. I’ve been wanting to get a soup mug for a while, so this would be an awesome prize! The answer is not why would I its why wouldnt i want to win? I love OXO! We love to travel in our campervan and these great products would be invaluable for soup making on the go! because oxo rocks and i love it!! It would complement the vegetable juices I make. Because I’ve just started a healthy eating regime and would love to make some tasty soups. I love soup and nothing tastes as good as homemade soup does.